Seat's midsize SUV is expected to take design cues from the 20V20 concept unveiled at the 2015 Geneva auto show. BERLIN -- With Spain's media focused on the political crisis over Catalonia, Volkswagen Group's Spanish division, Seat, has decided to delay announcing the name of its upcoming midsize SUV. 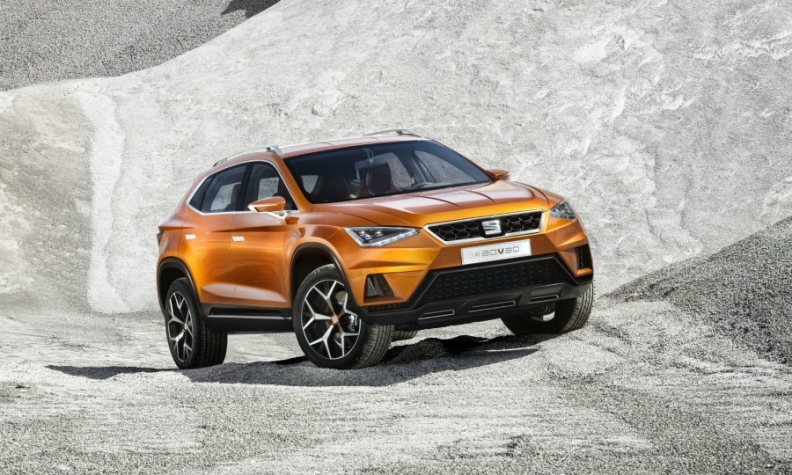 Seat, based in Martorell in Catalonia, had planned to make an announcement this month, following a competition to name the new vehicle, about a year ahead of the model's launch. But the carmaker, which earlier this month halted production at the Martorell plant after parts supplies were disrupted by protests in Catalonia, said on Tuesday it would disclose the name of the car at a later time. "With the entire Spanish media focused on politics at the moment, we have decided to find a better time," a Seat spokesman said. The brand said last month that the choice of name for the SUV had been narrowed down to Alboran, Aranda, Avila or Tarraco. Seat has also delayed the announcement of an agreement it has signed with a Spanish industry association on innovation and digitization, the spokesman said, without elaborating. However, preparations for selling and building the SUV, which is due to be built at Volkswagen's Wolfsburg base in Germany, will not be affected by the delay, Seat said. Similarly, the presentation of Seat's new Arona subcompact SUV to the international trade press in Barcelona is proceeding as planned and will run for another week, he said. Seat, acquired by VW in 1986, returned to profit last year for the first time in about a decade, helped by strong sales of the compact Ateca, its first crossover model. The midsize SUV, its third SUV in as many years, will play a key role in the brand's strategy to build on its recovery, CEO Luca de Meo has said.